Daguerreotype, whole plate, in passe-partout with paper label under glass. Illustrated and exhibited: Un objet photographique, Paris, Musée d'Orsay, 2003, catalog # 168. Titled on paper strip, inscribed Pl 14 on reverse. 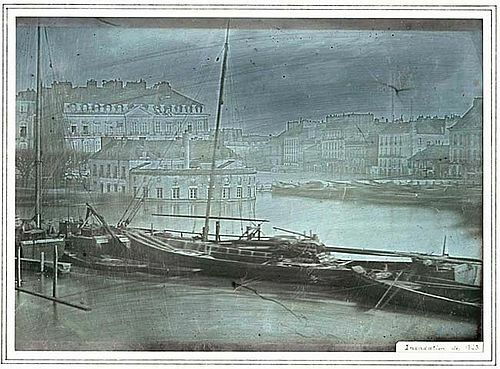 Undoubtedly done by the same photographer as a series of published engravings called "La Loire Infériure, Vues de Nantes et de ses Environs" issued by the prominent Nantes publisher Jules Forest in 1842.